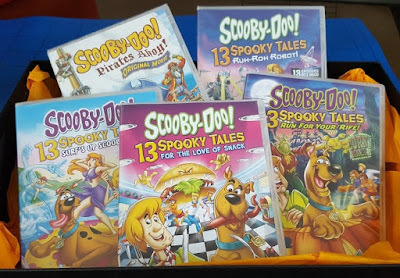 Over half term Warner Bros sent a bundle of Scooby Doo DVD's to keep us entertained on rainy days - all available for under £6 each and a long time family favourite. No-one of any age here objects to a spooky mystery or two and some meddling from those pesky kids. We were sent 5 DVD's including Scooby-Doo's For the Love of Snack, Surf's Up Scooby-Doo, Ruh-Roh Robot, Pirates Ahoy! and Scooby-Doo Run for your Rife, as well as some free printables that you can find on the Warner Bros Kids Scooby Doo website. Scooby-Doo's For The Love Of Snack (PG, £5.99) - 2 discs, 261 minutes, 13 episodes. 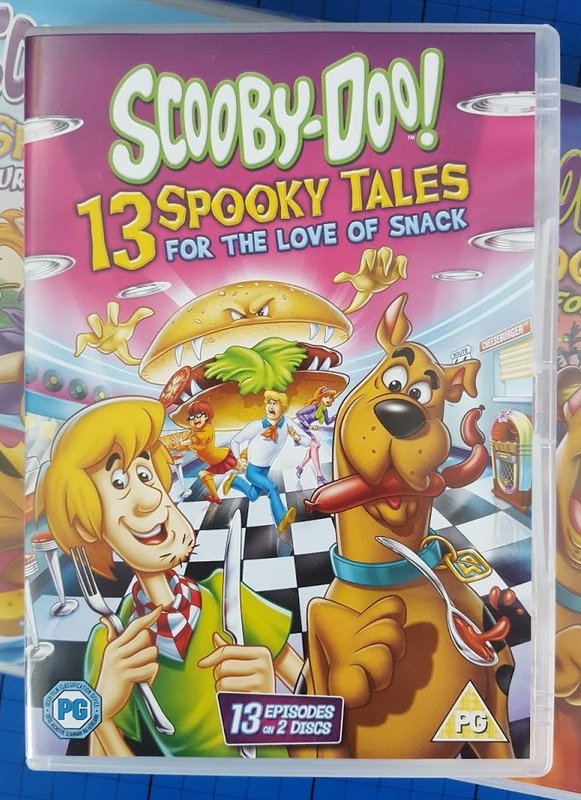 A collection of food-related Scooby Doo episodes which includes giant food, cursed and haunted food. 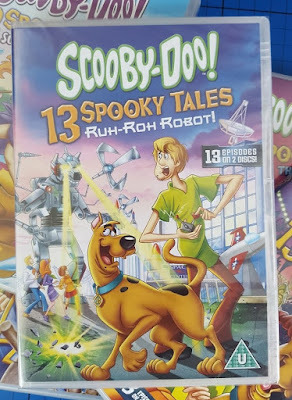 Unlike most of the other DVD's, this also has episodes which feature 3 x shorter tales within them, so you get far more than your 13 stories for your money. Surf's Up Scooby-Doo (U, £5.36) - 2 discs, 261 minutes, 13 episodes. Ruh-Ruh Robot - (U, £5.99) - 2 discs, 159 minutes, 13 episodes. Ruh-Ruh Robot features 13 more 'tech' orientated episodes. The mix of cyber crime and mystery brings out more modern Scooby Doo storylines, but the end results are pretty familiar. 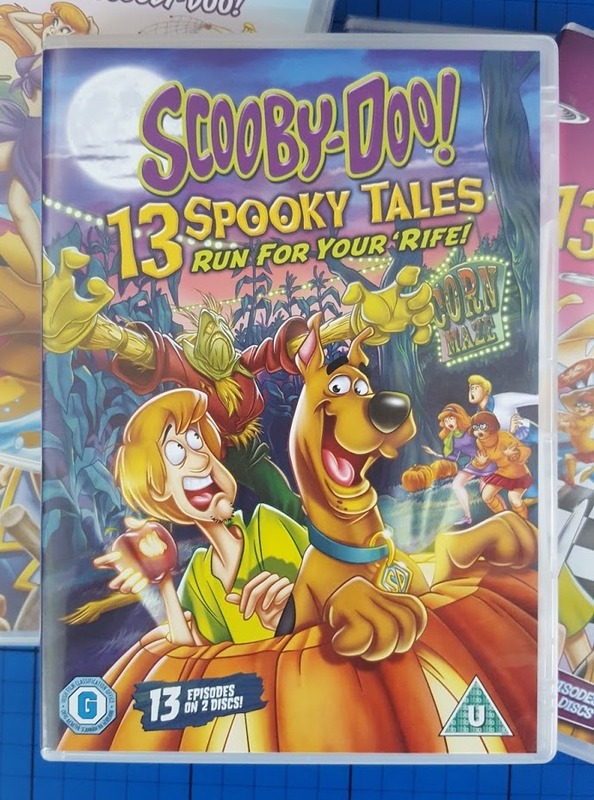 Scooby-Doo Run For Your Rife (U, £3.00) - 2 discs, 261 minutes, 13 episodes. This is a genuine mixed bag - Halloween, magic, Kwackyland, witches, scarecrows, werewolves and ghosts. 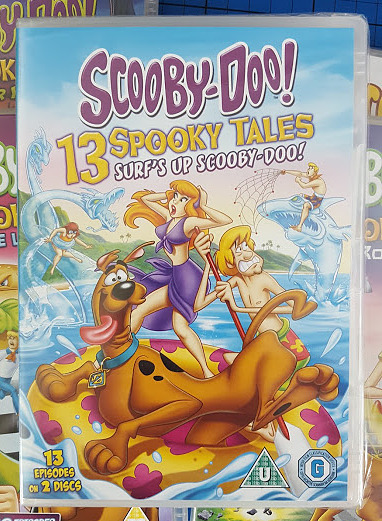 Pretty much anything you'd expect from the modern Scooby Doo animated series' all rolled into one bundle. Pirates Ahoy! (U, £4.99) - 68 minutes, original movie. Pirates Ahoy is a short animated movie which takes place mainly on a 'Creepy Cruise'. The gang are there, as are Fred's parents, travelling to the world's most mysterious places - including the Bermuda Triangle. Needless to say it isn't your everyday cruise and after meeting ghosts, pirates and even aliens, the gang have to save themselves - and Fred's Mum, who has been turned into a pirate! This DVD also includes a Special Feature: The Bermuda Manoeuvre Challenge. 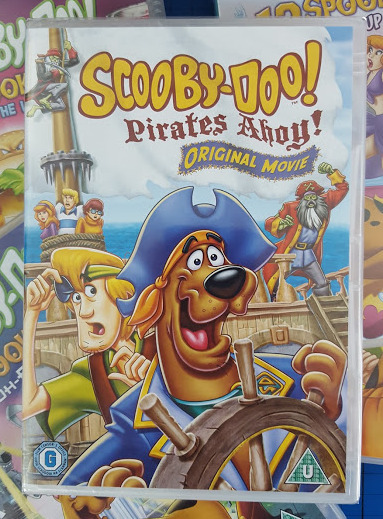 My children are 7, 8 and 17+, so we are used to full length movies and we particularly enjoyed the movie Pirates Ahoy! and the compilation Run For Your Rife. All of these Warner Bros DVD's are available from your usual DVD stockists, including online at Amazon. 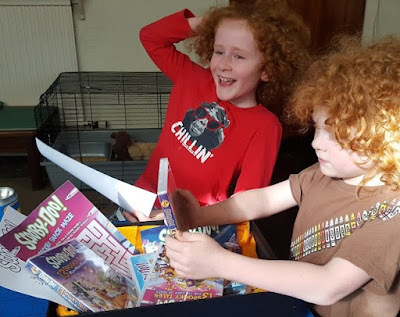 We were sent our Scooby Doo DVD's for review by Warner Bros.
Scooby Doo is what makes me remember my childhood. I remember the time when I hurried home because of the cartoon beginning. Thanks for the post, Jenny.